Literally, nothing in life has come easily for me. Many of my dreams have never been realized at all. I have “failed” many times at many endeavors. Yet, my life is more satisfying than it was. I’m still here, and you are, too. Babies fall repeatedly before learning to walk. What if they refused to get up and try again because it’s not “comfortable”? They would never get beyond the crawling stage, and that’s unacceptable. Can you imagine adults crawling around everywhere?! Have you thought about that? Are you willing to crawl and fall on the way to your dream? Sorry, but there’s no other way to do it! 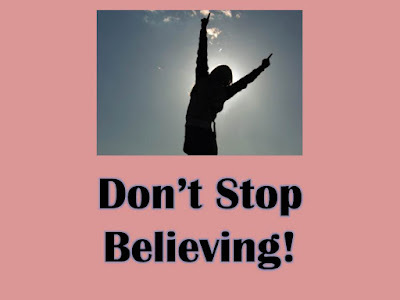 For me, the iconic song, Don’t Stop, is the most important anthem to never giving up. I get chills every time I listen to it. It is possibly the most well-known song in the group’s repertoire. What makes it so special? Two things: it was performed at President Bill Clinton’s inauguration; and, it was written by keyboard player and vocalist, Christine McVie. She was mainly on the losing end of frequent relationship and popularity struggles with fellow uber-outgoing bandmate, Stevie Nicks. Note: most of the following information is taken from the excellent article, “Best-Sellers Initially Rejected”, on Literaryrejections.com. Iconic mystery writer, Agatha Christie—was rejected for five years. In addition, when one of her books was first made into a play, it wasn’t received well. Combined sales are now in excess of $2 billion. Only Shakespeare has sold more. World-renown author of the Harry Potter fantasy series, J. K. Rowling—received many rejections until the eight-year-old daughter of an editor demanded to read more. Her last four novels are the fastest-selling books in history. This #1 British author has combined sales of $450 million. Western writer, Louis L’amour—was rejected 200 times. His book sales now total $330 million. Ultra-famous children’s author, Theodor Seuss Geisel (aka Dr. Seuss)—was rejected harshly by numerous publishers. He was told that nobody would be interested in writing that was “too different” and illustrations that were “too much like cartoons”. Well, he showed them! 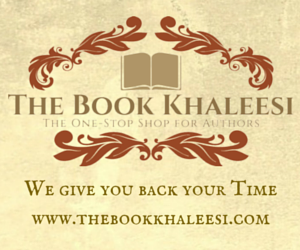 The sale of 300 million copies places him as the 9th bestselling fiction author of all time. Chicken Soup for the Soul series authors, Jack Canfield and Mark Victor Hansen—received 140 rejections stating that “anthologies don’t sell”. The series has now sold 125 million copies. Chronicles of Narnia series author, C. S. Lewis—was rejected for years. His works have now been translated into 47 languages. He has sold 80 million copies altogether. Let's not forget the blockbuster movies! Children’s and Young Adult author, Judy Blume—suffered two years of rejection. She saved the rejection letters in a bag that became so heavy she couldn’t lift it. She now has combined sales of 80 million. The Tale of Peter Rabbit author, Beatrix Potter—was rejected so many times she decided to self-publish 250 copies. Sales have now reached the 45 million mark. Gone With the Wind author, Margaret Mitchell—received 38 rejections. The book has sold 30 million copies over the decades. We all struggle and fail. If we want to get anywhere, that’s part of life. Many celebrities became successful only after years of rejection. For some people, life is just a continual struggle. Remember this: Failure doesn’t mean never falling down. Failure means being too intimidated to start again right where you left off before you fell. 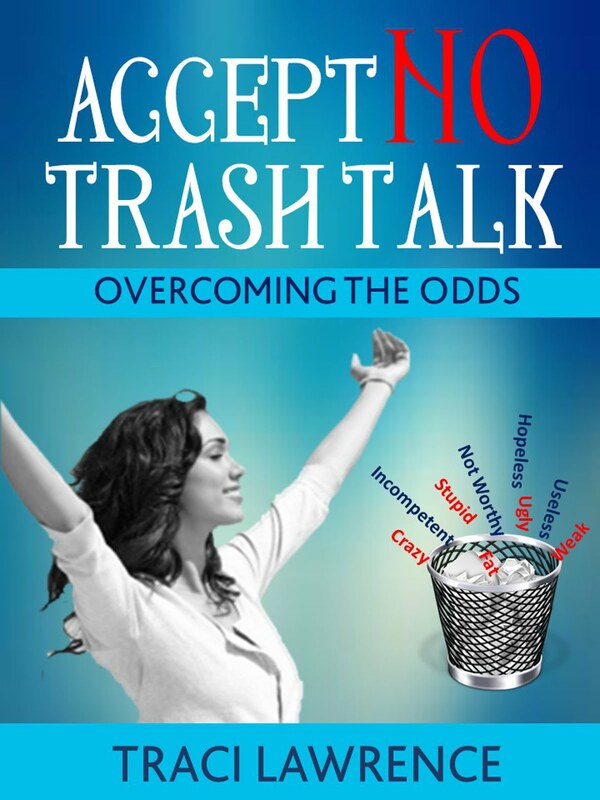 For more inspirational writing about rejecting negativity, please see my book, Accept No Trash Talk: Overcoming the Odds. How have you picked yourself up off the floor lately?